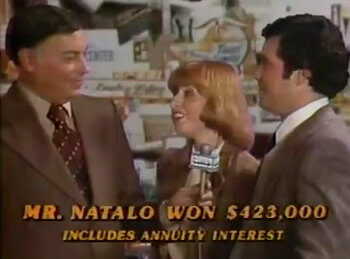 Loving this old NY Lotto ad from 1979. Interviewer (with great hair cut) talks to the 2 big lotto winners about their ‘huge’ wins. Things have changed a lot! Did Woman Predict Her Lotto Win?